The BEST Title Loans Casa Grande can offer! We do title loans on nearly EVERYTHING! Casino Pawn and Gold is, without a doubt, the #1 provider of all types of title loans in Casa Grande, Coolidge, Eloy, and Maricopa! Title loans have never been bigger, especially at Casa Grande's best pawn shop, Casino Pawn and Gold! Come in today to get cash in minutes; you’re already approved! Need cash fast? Have a car? Come in today and get a title loan, all yet still be able to drive your vehicle! A “Title Loan” is a loan in which you make use of your titled automobile as collateral to acquire money on the spot. Our Auto Title Lender in Casa Grande can loan on cars, ATVs, motorcycles, RVs, tractors, airplanes, trucks, boats, jet skis, golf carts, and much more. Read below to discover what we can provide a title loan on! If you're ready to turn your car title into cash, here's how you can do it with the best auto title loan provider in Casa Grande. 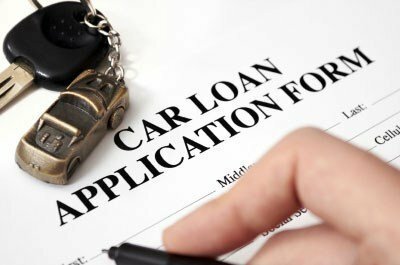 While we can almost guarantee that no matter what your car is we can get you cash, the best way to start the process is using our Online Title Loan Application. This allows us to evaluate the different options available to you, as well as working out many of the different title loan factors before you even come down to our store. This means that important items like your loan amount, interest rate, and payment date each month. This allows us to get all the paperwork prepared ahead of time before you even come down to Casino Pawn and Gold. If you just drive on down to our title loan location, that's fine too! Our associates are all expertly trained and have been getting the citizens of Casa Grande fast cash for years upon years. When you come on down to our location, our associate will collect some basic information about your car such as the make, model, and year, and then will make some inquiries about how much cash you're looking to get. Next, we'll go out and perform an inspection of your vehicle. What separates Casino Pawn and Gold from other Casa Grande title loan lenders is that we take into account every metric possible to come up with an accurate valuation. We take note of the interior and exterior condition, the overall running condition, and even different metrics about yourself like credit score (only if you want) and your job. All of this is not to secure our loan, but to get our customers the most amount of cash that's possible. What we're saying is you as a person are valuable for cash as well, not just your vehicle alone. HASSLE-FREE TITLE LOANS AT CASINO PAWN AND GOLD! Stop by today and get the most CASH and keep your car or truck! Receive the cash you need but still drive your automobile! Get yourself a loan - often within 40 minutes! Pay over as long as 5 years! We supply you with the cash, and with each passing month you make payments so that you can lessen loan balance. Title loans are often repaid early - without having pre-payment penalties! The interest rate depends upon how big the the loan, as is controlled by the Arizona State Statute. We can easily do title loans that other lenders won’t do. For instance, we've made title loans on boats, airplanes, motor homes, and Lamborghinis. You also have the option to request that your chosen automobile get saved in return for a dramatically reduced rate of interest. 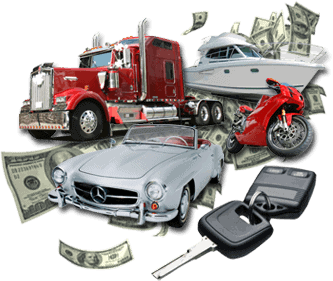 We even give title loans on collectible cars, unique cars, and even motorcycles. If it has a title, we can loan on it! If you need a car title loan in Casa Grande, there is absolutely no better place to get it than at Casino Pawn and Gold! DRIVE AWAY IN MINUTES WITH EASY CASH IN HAND! 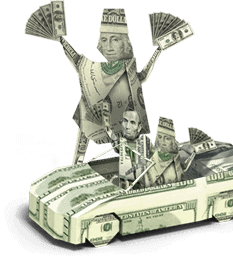 Refinancing your car has never been easier than it is at Casino Pawn and Gold! Hunting for a specific kind of title loan? Browse the following pages to find out what we are capable of doing to suit your needs! Auto Title Loans - Here we describe why an auto title loan might be what you need and what our process is behind loaning you money! Bad Credit Loans - This page describes why having bad credit is no problem and we can loan to you, regardless of your current standing! Motorcycle Title Loans - Motorcycle title loans are becoming more and more popular. Visit this page to find out what you need to know! Visit the Phoenix Title Loans, LLC's FAQ page for more information!